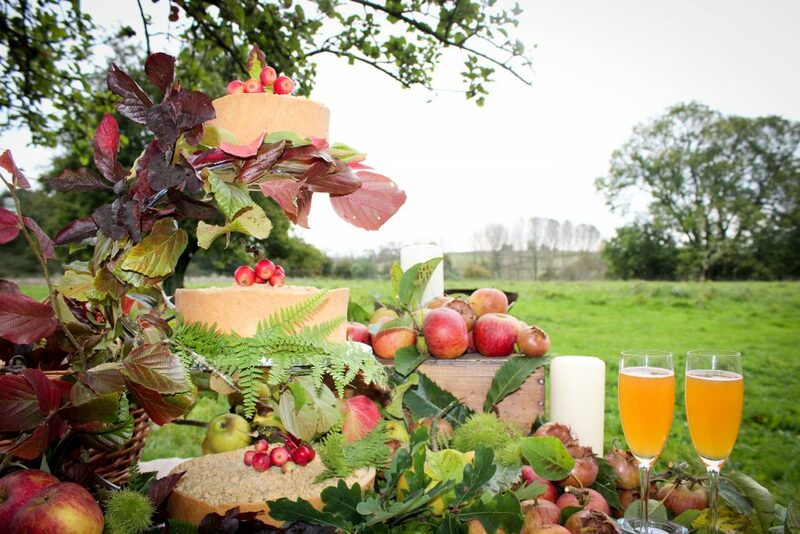 The traditional iced and multi-tiered wedding cake may soon be a thing of the past. The wedding planning team at Elmore is getting more and more requests for pudding cakes — cakes that double up as pudding to form the third course of a wedding breakfast. Perfect for couples looking for ways to make their budget stretch a little further, try a three tiered apple crumble. It will look the part for the wedding pics, but also do the job as a show-stopping pudding. And as not everyone likes to toast with Champagne or Prosecco, premium sparkling cider is a delicious alternative pairing! Elmore has seen an increase in the number of people wanting joints of meat that they can carve themselves, and also offers dessert tables brimming with lots of mini desserts to try — guaranteed to get everyone up from their seats, mingling and socialising! And the food trend showing no signs of shifting is informal feasting. 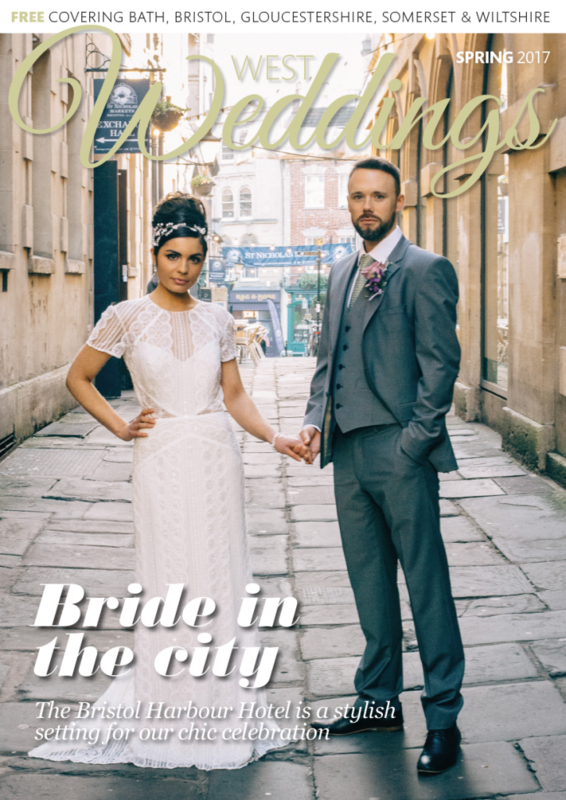 The bride and groom who like everyone to get involved and share on their wedding day are making feast and banquet style menus super popular. 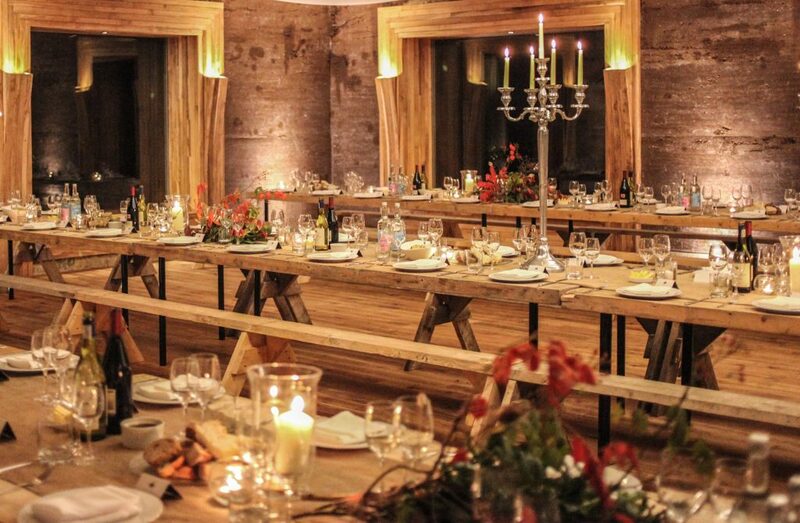 Long tables with benches set the scene for the ultimate in informality and fun. A wedding presents an opportunity to be playful with food and use colourful and nostalgic foods as decoration. 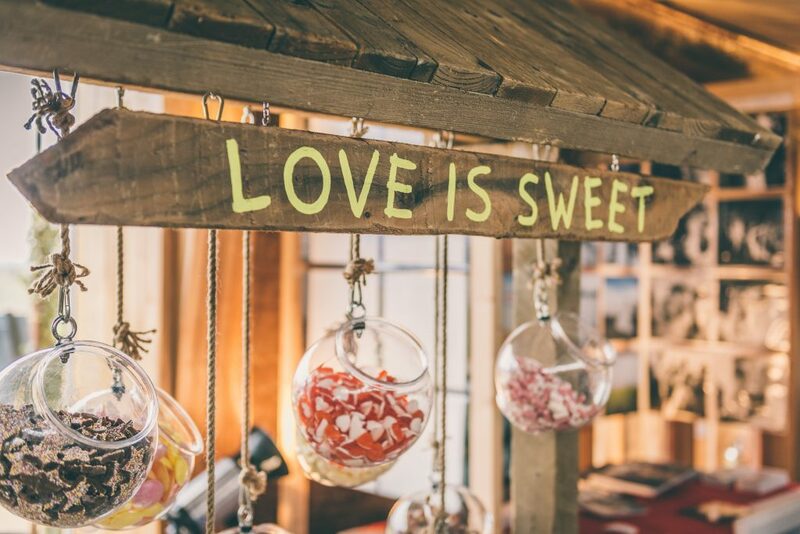 Fun ideas include setting up a table like an old fashioned sweet stall and indulging in childhood sweets, such as bowls of pink love hearts and chocolate stars or marshmallows for the fire pit outside. 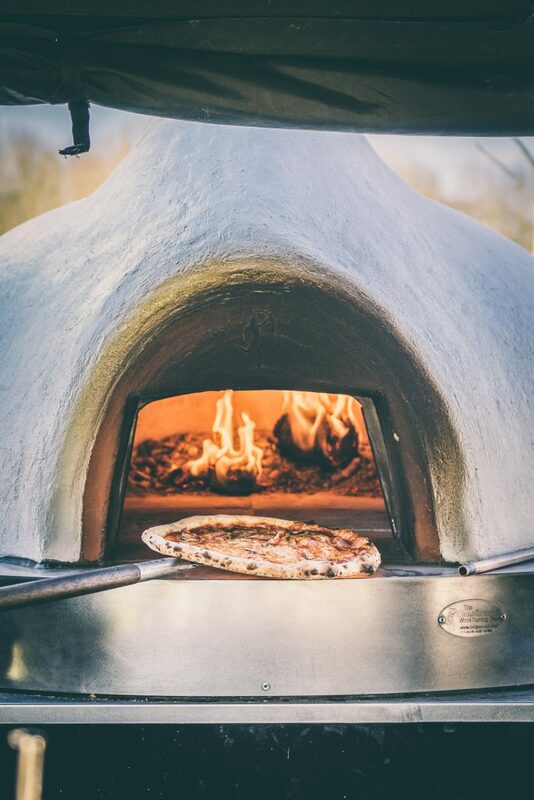 As an early nibble or late night equivalent of the sustaining bacon sandwich, an outdoor wood fired oven for sweet and savoury pizzas adds a fun and festival element to wedding food. Great for a wedding where there are lots of hungry kids running around too. Turn tea on the lawn on its head by serving cocktails in clear tea pots and drinking out of fine china. 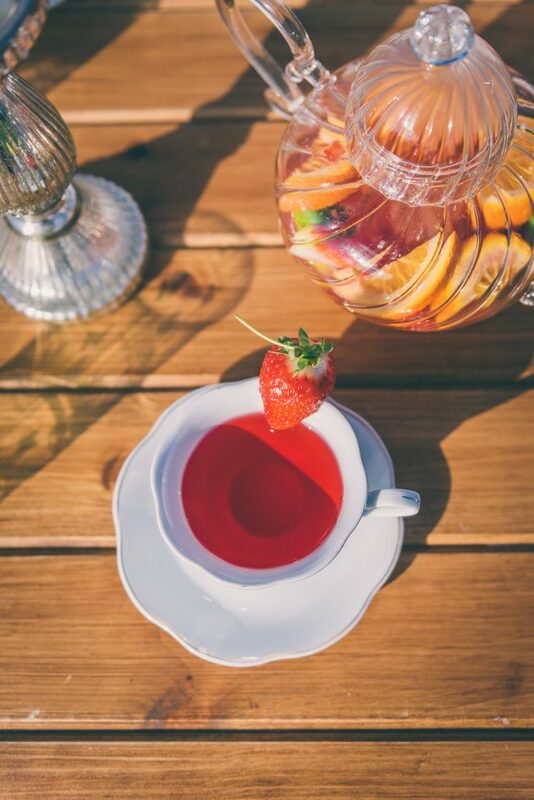 Let the imagination run wild (and a little bit Mad Hatter) with colourful, fruity cocktails and mocktails, all of which are sure to be a talking point with your guests!